"Location of the hotel is really good." Have a question for The Lodge? "Very happy will stay again ." "Best welcome of any place we stayed at ever." 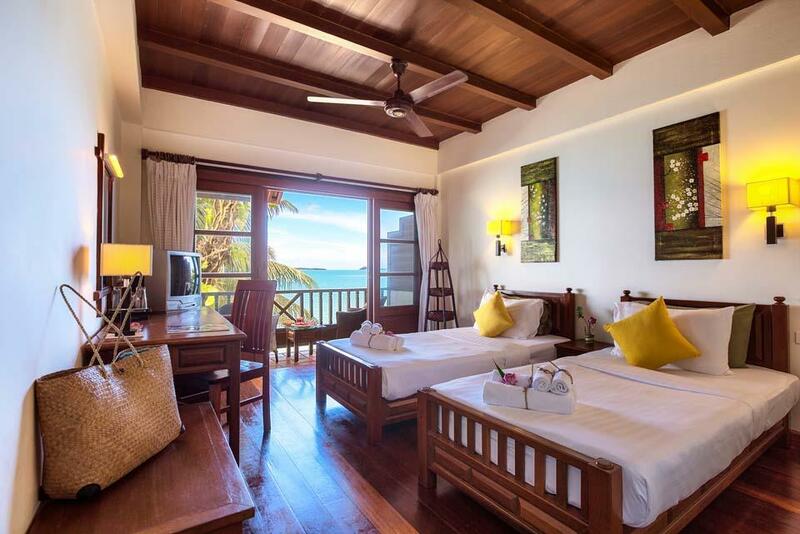 Conveniently located in Samui, The Lodge is a great base from which to explore this vibrant city. From here, guests can enjoy easy access to all that the lively city has to offer. No less exceptional is the hotel's easy access to the city's myriad attractions and landmarks, such as The Wharf Samui Community Mall, Bo Phut Beach, Lompraya Pier. At The Lodge, every effort is made to make guests feel comfortable. To do so, the hotel provides the best in services and amenities. A selection of top-class facilities such as Wi-Fi in public areas, car park, room service, airport transfer, restaurant can be enjoyed at the hotel. In addition, all guestrooms feature a variety of comforts. Many rooms even provide internet access – wireless, non smoking rooms, air conditioning, desk, mini bar to please the most discerning guest. The hotel offers wonderful recreational facilities such as garden to make your stay truly unforgettable. 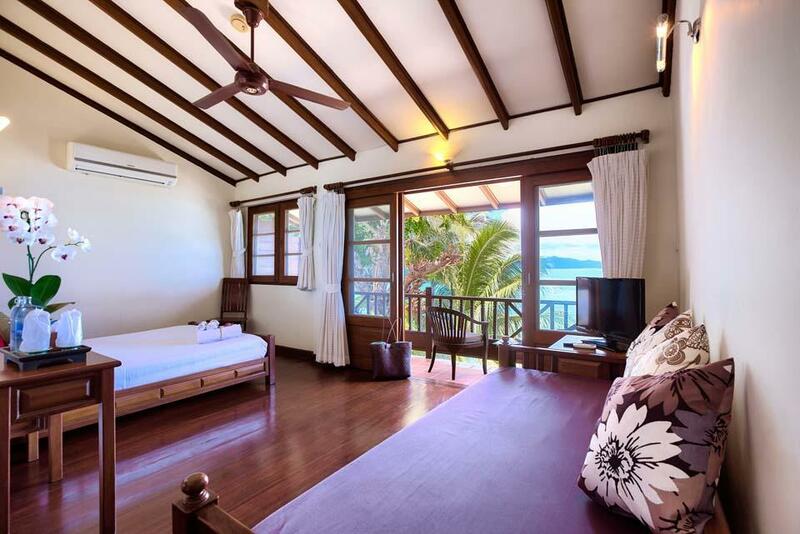 The Lodge is your one-stop destination for quality hotel accommodations in Samui. Location of the hotel is really good. Restaurants, Spa, street food, tours and travels, bike/car on rent and a clean and calm beach are just next to it. Staff is friendly, only some of them can communicate in proper English but they try their best to understand. To make our wedding anniversary special they even gave us a small cake made from pancakes, fruits and ice cream. (Advisable to pre-inform them about any special occasion). Bathrooms are on the smaller side. Shower and tub are in the same location. There is no buffet breakfast, but they have a restaurant and you can order anything from the menu. For budget travellers it is a good find. All rooms have floor to ceiling windows that face out over the bay. Each has a balcony with chairs and a table. Nice decor, clean and roomy. It is on a lively street central to everything in Fisherman Village but this does mean lots of Street noise until about 11pm. Staff are lovely but breakfast is ordinary unless you pay for more. I would definitely stay there again. Handy to walk the Fisherman's Village but a few days is plenty. Gorgeous view but the water and beach are not the best on the island. The monotonous thud of a. Club down the beach can be heard clearly from the rooms until 12-1am and then clanging wakes you at 6. This is a mystery because even though breakfast starts at 7.30 good luck finding someone to take your order. Staff are pleasant when you can find them. The food has lost its Thai zing (across the whole village) which is a shame. Best welcome of any place we stayed at ever. We have stayed at the Lodge many time over the past 14 years, it used to be the best value at Bophut but I don't think I'd go back. The place feels run down, we paid for an extra bed for our son and they didn't provide bedding (he slept under a towel). Quite frankly there are cheaper options for the same quality, and/or better quality options for the same price. We booked for 3 days but we check out the first. I had initially only booked one night for a room on the top floor - it was absolutely perfect. So I decided to stay a second night but they only had availability of a room on the ground floor which was really basic and cheaper. We really enjoyed our night at The Lodge, the rooms have a fantastic view of the beach, and as its on the main street so everything in the village is on your doorstep. Great wee hotel. We lonely stayed here for 1 night and left early the next morning, do can't comment on breakfast. The hotel is in an amazing location. Views are stunning and room is clean, good size and nicely decorated. It is a simple room, but very nice. On the beach. Great view. Good service. I booked online following previous hotel guests comments which were accurate and helpful. The hotel is situated on the beach and offers a great view of the ocean. The rooms are clean and the penhut situated on top has a great balcony to relax and take in the view. Staff are wonderful and friendly and go out their way to make your stay a pleasant one. Breakfast is good and the drinks are served with a smile right on the beach. The manageress is wonderful and nothing seems to much trouble for her. If and when I go back I would not hesitate in staying there again. Very relaxing, beautiful comfortable room with balcony with great sea views, enabled me to unwind in friendly surroundings and enjoy endless dips in the balmy sea, which i could access straight from my room. The food and drinks were simple and beautifully prepared and served on the beach terrace by friendly staff. I really enjoyed the informal atmosphere and would recommend it to anyone who prefers the simple life on a budget. We had an excellent stay at the Lodge. 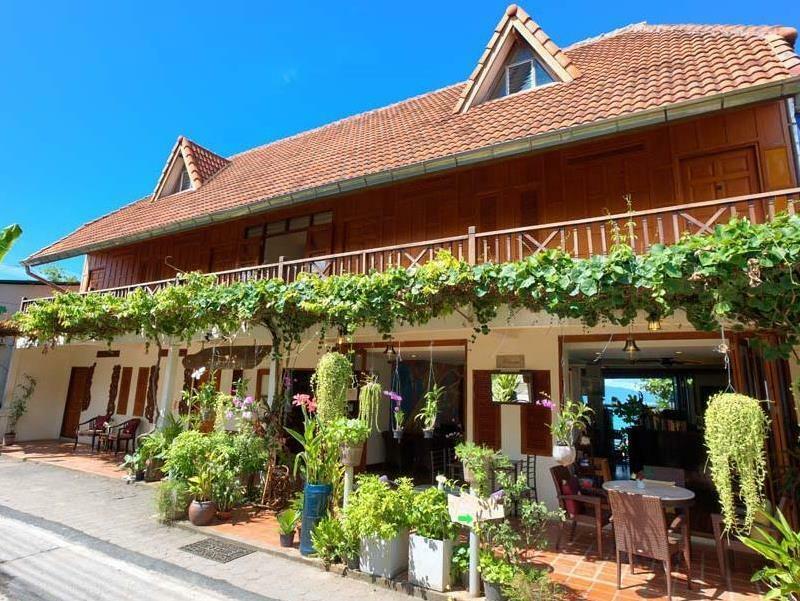 Located right on the beach in the centre of Bophut fishermans village, close to a wide selection of shops, restaurants and bars. Helpful and friendly staff, very attentive. Our room was clean and spacious, fitted with both a ceiling fan and air con unit. A wide choice on the menu for both food and drink. As the Lodge has only 8 rooms it is a small and friendly place to stay. The pent hut is on the 2nd floor (two flights of steps and no lift) so be aware of this when booking if you can not manage stairs (however, our cases were carried up for us by a member of staff). They have 2 rooms on ground floor and 4 on the first floor.